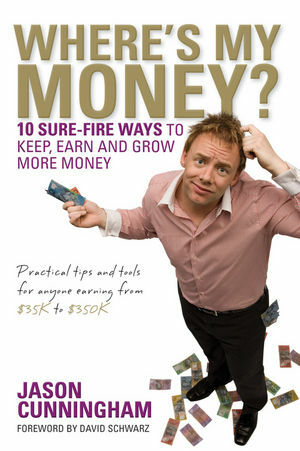 Packed with practical tools and real-life examples, Where's My Money? will help you to take charge of your financial future and make your dreams a reality. This 10-step, plain-English guide has something for everyone -- whether you earn $35K or $350K. protect your assets and reduce your tax commitments. Whether you're struggling under the weight of a mountain of debt or wanting to speed up your financial success, Where's My Money? is the book for you! An accountant and financial planner, Jason Cunningham is also co-founder of financial services business The Practice. Jason talks straight and calls it as he sees it. Above all, he's passionate about helping people achieve their full financial potential.